Mr.Sinha has worked in BHEL for 34 years predominantly in Marketing Division holding different positions. Major portion associated with manufacturing unit. However, at a later stage assigned responsibilities as Head of Regional offices of Business Development of BHEL product in the State of Bihar, UP and Gujarat. Worked for 6 years as Director (Marketing) in a Public Limited ISO accredited Company at Vadodara engaged in business of highly competitive Industrial Product, Transformer. During the intervening period, the physical export grew from almost zero level to about 25% of the annual turn-over. 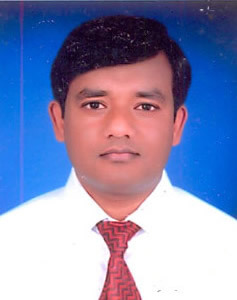 He is working in CECL as Marketing Consultant for past 12 years. The clientele network has been extended to flagship companies in Public/Private Sectors. 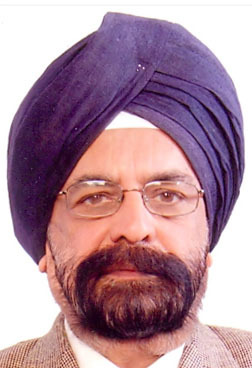 Mr.Ahuja, has more than 45 years of experience in Civil Engineering field. Worked in Irrigation Department of Madhya Pradesh, Military Engineering Services, Govt. of India & National Dairy Development Board, Anand, Gujarat, Govt. of India undertaking organization. For the last 22 years is working with CECL Bhopal and M.P. Windfarm Ltd. as Consultant/Addl. General Manager and executed several projects from concept to commissioning. handled Survey, Preparation of DPR, Estimation, Design, Drawing, Inviting tenders, Supervision of Construction of roads, building and other Civil Engineering work like foundation of Wind Electric Generator ranging from 225 kW to 1650 kW and Lender's Independent Engineering Services. He has been associated with more than 80 assignments related to Wind Energy. Mr.P.S. Modh is basically an Electrical Engineer with more than 45 years of experience. He has worked with M.P. Electricity Board for about 35 years. He has rich experience of design, construction, erection, commissioning, operation & maintenance of power generating stations. For last more than 10 years he is working with CECL. He has executed several wind power projects from concept to commissioning. He is involved in Survey, Design, Drawing, Estimation, Preparation of Feasibility Report/ DPR, Preparation of tenders, Planning, Execution & Supervision of Construction, Project Management and Lender's Independent Engineering Services. Mr.A.K. 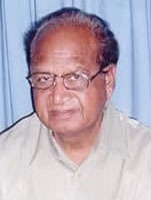 Bhattacharya is basically a Civil Engineer with more than 45 years of experience. He has worked with Public Works Department for 4 years and 31 years with Bharat Heavy Electricals Ltd. (BHEL). He has got rich experience of all types of Civil Engineering works. For last more than 8 years he is working with CECL. He has executed several wind power projects from concept to commissioning. He is involved in Survey, Design, Drawing, Estimation, Preparation of Feasibility Report/ DPR, Preparation of tenders, Planning, Execution & Supervision of Construction, Project Management and Lender's Independent Engineering Services. He is also involved in preparation of Directory Indian Wind Power. 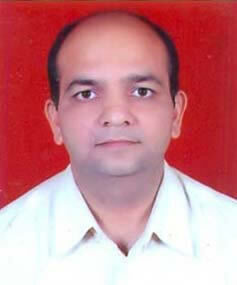 Mr.Abhay Jain is basically an Electronics & Power Engineer with more than 24 years of experience. For last more than 22 years he is working with CECL. He is well versed with special softwares related to wind resource assessment, micrositing & energy estimation. He is actively involved in site identification, wind resource assessment, micrositing, energy estimation, preparation of Feasibility Report/DPR. Mr.R.K.Das is basically an Electrical Engineer with more than 32 years of experience. He has rich experience of design, construction, erection & commissioning of OH Lines and substations. For more than 16 years he is with CECL. He is actively involved in design, drawing, estimation, supervision of electrical works, Project Management,prepration of Feasibility Report/DPR, Post commissioning & Monitoring of wind power projects and Lender's Independent Engineering Services. Mr.S.K.Yogi is expert of computer programming. He has over 34 years of experience in the field of computer programming. For last 28 years he is with CECL. He is actively involved in computer programming, preparation of reports, Directory Indian Wind Power & presentations. 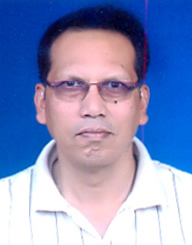 Mr. Jayant Potdar is basically a Civil Engineer with more than 16 years of experience. He is actively involved in site identification, wind resource assessment, feasibility studies, tendering and project management activities and Lender's Independent Engineering Services of wind power project. Mr. S.R. Deshmukh is basically a Civil Engineer with more than 16 years of experience. He is actively involved in site identification, wind resource assessment, feasibility studies, tendering , project management activities and Lender's Independent Engineering Services of wind power project. 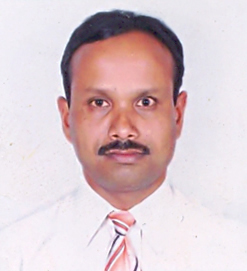 Mr. Sudhir Malviya is basically an Electrical Engineer with more than 15 years of experience. He is actively involved in design, drawing, estimation, feasibility studies, supervision of electrical works, Project Management and Post commissioning Monitoring, Lender's Independent Engineering Services of wind power projects. 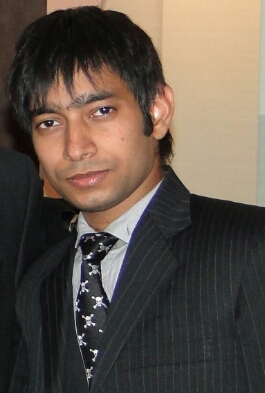 Mr Maneesh Sharma is a confident and highly motivated MBA from The University of Nottingham. He holds first class B.Tech. Degree in Computer Science & Engg. along with 8+ years of relevant post MBA work experience in various capacities, in India and abroad (England). Right from inception he has acquired a wide range of professional management and technical consulting acumen in New and Renewable Energy R&D and in the field of IT. Strong interpersonal & communication skills, effective traits of negotiation and persuasion, excellent time management and ability to work under pressure are his key strengths. Mr Sharma is an active Member of The Association of MBAs (AMBA), UK. He has received appreciation from the Govt. of Rajasthan on selection of his Business Plan in YUPY. Characterized by high adaptability to team or individual roles, his recent assignments closely relate to the facilitation of Management/Strategy and Technology Consulting activities with active decision making, specifically in the commercial scale project setups.